The unexpected death of Moses Dwiggins in January 1890 left his widow Eva, and their young son Willie, adrift in the world. Without her soulmate and source of livelihood, Eva stumbled about for the next five years, trying to achieve a stable life. Willie, only 9 1/2 years old at the time of his father’s death, was old enough to understand his mother’s grief, but too young to be able to do much about it. This post is the next installment in the life of W.A. Dwiggins, following The Definitive Dwiggins no. 94 and The Definitive Dwiggins no. 97 which covered his years in Richmond, Indiana from December 1880 to January 1890. Over the next five years he lived in Richmond (from January 1st to February 13th, 1890), Cambridge, Ohio (February 14th to April 2nd, 1890), South Pasadena (April 8th to September 18th, 1890), Cambridge again (September 24th, 1890 to April 28th, 1891), Richmond again (April 29th, 1891 to July 10th, 1892), and Zanesville, Ohio (July 11th, 1892 to August 12th, 1895). Although obituaries tend to put the deceased in the best possible light, it seems that the one Dr. Hibberd wrote for the Transactions of the Indiana State Medical Society accurately captured Moses Dwiggins’ character as a doctor. “Dr. Dwiggins was an excellent and popular physician;” Hibberd stated, “he observed his cases closely and gave his patients most attentive and intelligent care, which resulted, as such service does, in inducting him into an extensive practice. He was eminently an honest, upright and straightforward man, a sincere friend, a sympathetic husband and parent and a trustworthy neighbor.”  The large Richmond crowd that saw Moses’ casket off to Wilmington is proof that Dr. Hibberd was not exaggerating. Willie did not stay in the Cambridge school for long. Within weeks his mother—perhaps searching for a new place to make a new beginning to her life—had decided to move to California. In early April she put her affairs in order and bought Willie “clothing and fixings” in preparation for the trip. “Feel very anxious about their leaving us to go so far alone,” Ben confided to his diary on April 3rd. Eva and Willie left that day (or the next) and reached Los Angeles on the 8th “all in usual health.”  They traveled by train, probably taking the Baltimore & Ohio Railroad to Chicago to catch the Santa Fe, Atchinson & Topeka Railroad which, five years earlier, had established a Los Angeles route. In Los Angeles they stayed with Ella and Eugene Hadley, Eva’s sister and brother-in-law, who had moved west from Wilmington sometime in the late 1880s. Guide Map of the City of Los Angeles, Cal. Designed and engraved for W.H.L. Corran (1891) by Schmidt Label & Lith. Co. Regent Street is not labeled, but it can be seen between Los Angeles Street and Wall Street to the north of Maple Street at Q10–11. Image courtesy of the Los Angeles Public Library. Location of 45 Regent Street. Detail of Sanborn Fire Insurance Map from Los Angeles, Los Angeles County, California (New York: Sanborn-Perris Map Company, 1888), vol. I, plate 30. Courtesy of the Los Angeles Public Library. Los Angeles was a thriving city. From 1880 to 1890 its population had mushroomed from 11,000 to an estimated 50,000. The rapid growth was spurred by a second real estate boom during the years 1885 to 1887 set off by the expansion of the Santa Fe route from San Diego to Los Angeles, linking the latter to New Orleans and Chicago. It is very likely that the Hadleys had been lured to Los Angeles by the railroad’s real estate promotions. Rev. Siegfried’s diary is unclear as to where the Hadleys were living during the brief time that Eva and Willie were in Los Angeles. In 1888 they were located at 45 Regent Street, east of the historic core of what is today downtown Los Angeles. Regent Street, which no longer exists, was a short street, located between East 5th and a fruit orchard where East 6th Street would eventually be, parallel to Los Angeles and Wall Streets. An electric railroad ran on the latter. Behind the one-story house at number 45 Regent Street was the Zanja Madre aqueduct, the original aqueduct from the Los Angeles River, dug as a ditch in 1871 and enclosed in 1877. (See the 1888 Sanborn map above.) However, it is likely that the Hadleys had already left Los Angeles by the time that Eva and Willie arrived in the spring of 1890. In October 1888 Eugene Hadley purchased Lot 2 in Monterey Terrace from John P. Early for $1000. Monterey Terrace was a resubdivision of Lincoln Park which itself was a subdivision of South Pasadena, a newly incorporated city less than seven miles north of Los Angeles. Contemporary accounts describe Lincoln Park (originally called Live Oak Park) variously as “a wooded track along the Arroyo” and “a richly-wooded eminence.”  It was part of the same real estate boom that was fueling the spectacular growth of Los Angeles. A means of access to these areas north of the city was crucial and thus land speculation spurred the creation of “dummy” railroads intended to link Los Angeles to Glendale, Pasadena, Altadena, and other towns. Many of these railroads never existed other than on paper while those that did become a reality often went bankrupt within a short time. 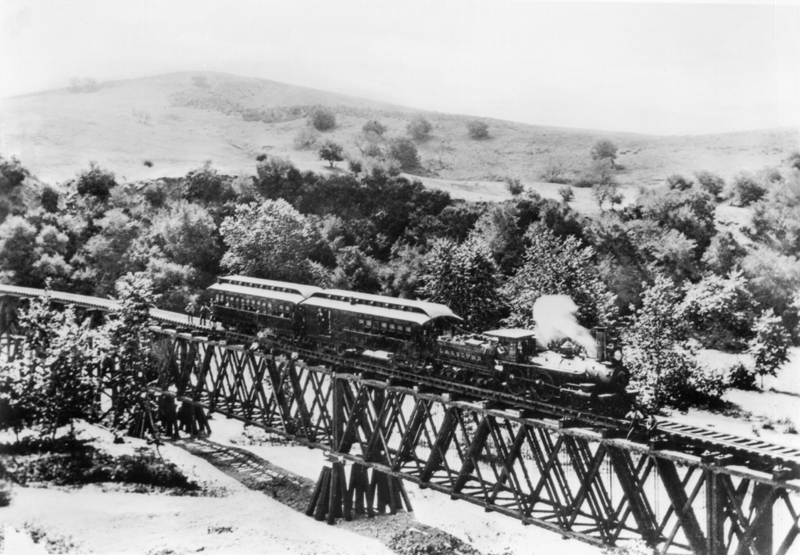 The first railroad to cross the Arroyo Seco, the dividing line between Los Angeles and the municipalities to the north, was the Los Angeles and San Gabriel Valley Railroad in 1885. It was followed in 1889 by the Los Angeles, Glendale and Pasadena Railroad which officially reached Pasadena on March 11th, 1890. 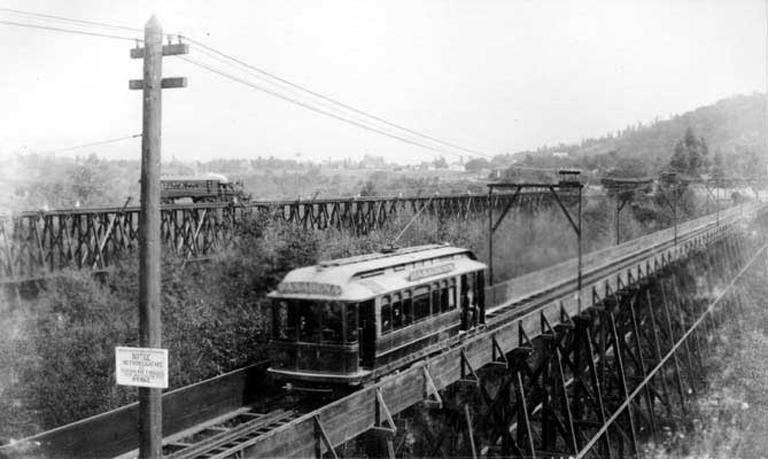 Key to the success of the latter, an interurban electric railway or trolley line, was the completion of the Arroyo Seco Bridge, a single-track, wooden trestle structure, between Garvanza and Lincoln Park that ran parallel to a similar bridge for the Los Angeles and San Gabriel Valley Railroad (see the second photograph below). Los Angeles and San Gabriel Valley Railroad train crossing the Arroyo Seco c.1885. Photograph from Wikimedia Commons. Railroad and interurban electric railway bridges across the Arroyo Seco c.1895. Photograph from Wikimedia Commons. 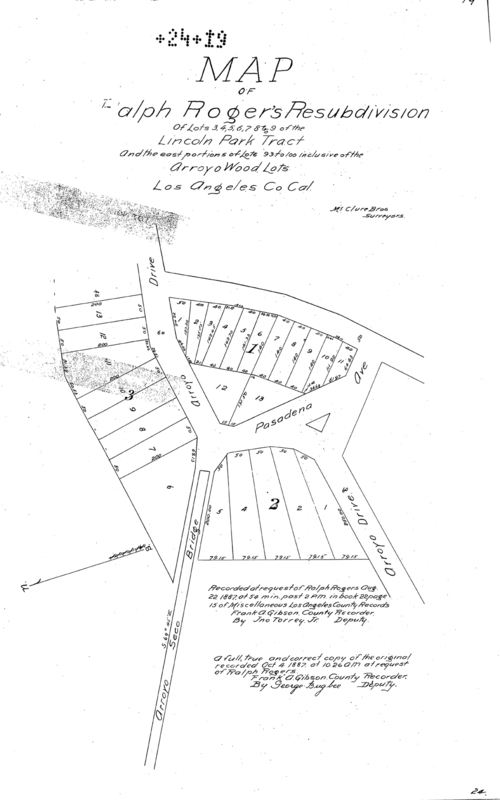 Map of Ralph Roger’s [sic] Resubdivision of Lots 3, 4, 5, 6, 7, 8 and 9 of the Lincoln Park Tract and the east portions of Lots 93 to 100 inclusive of the Arroyo Wood Lots, Los Angeles Co. Cal. (22 August 1887). Lot 2 was purchased by Eugene Hadley and Lot 4 was purchased by Eva S. Dwiggins. 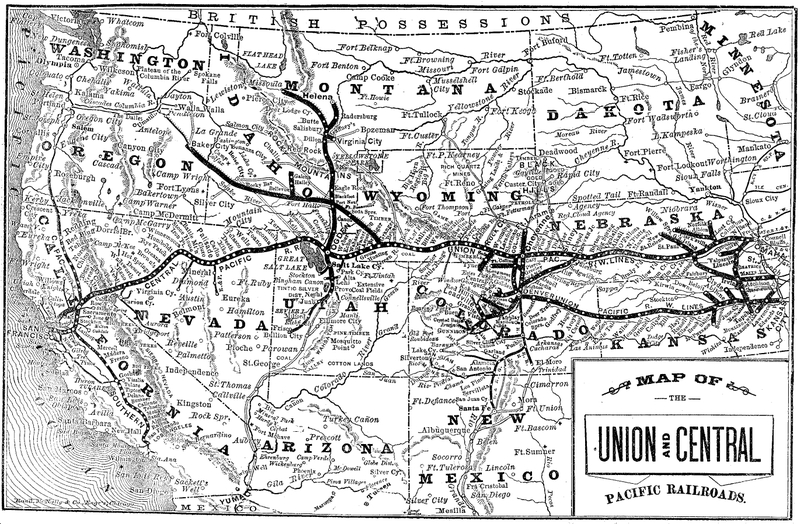 Map of the Union and Central Pacific Railroads (1882). 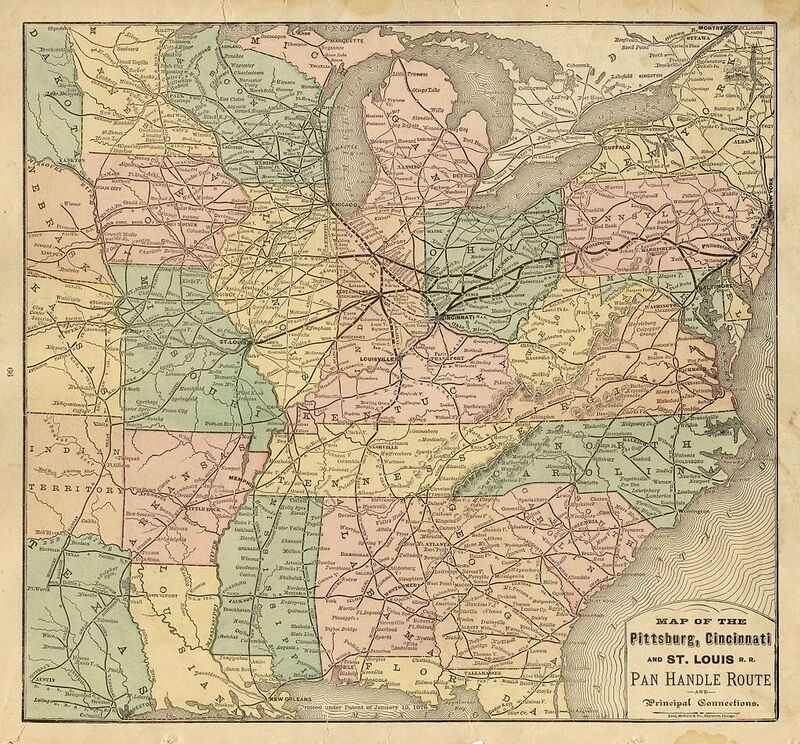 Map of the Pittsburg, Cincinnati and St. Louis Railroad (Pan Handle Route) (1877). There is one puzzling aspect of Eva’s decision to abandon California and return to Cambridge, Ohio in the fall of 1890. My recent research has uncovered evidence that she owned property in Lincoln Park, thus suggesting an intent to permanently live in the Los Angeles area. John P. Early died March 12th, 1896 at the age of 61. Lyman B. de Camp (b. 1846), a former farmer turned real estate agent, successfully petitioned to be administrator of his estate. On April 30th a legal notice appeared in the Los Angeles Herald: “Eva Siegfried Dwiggins yesterday instituted suit against L.B. De Camp, as administrator of the estate of John P. Early, deceased, to recover on a promissory note for $1500.” Eva won the lawsuit and E.W. Lewis, partner in the law firm of Lewis & Pinkham, was appointed to sell the property. The sale, delayed until after Early’s estate had been finalized the following spring, was executed on June 9th, 1897. The property in question was Lot 4 in Monterey Terrace, near the Hadley lot. Although I have yet to find documentation of Eva’s purchase of Lot 4, it must have been made in 1890. Its proximity to the Hadley lot suggests that her brother-in-law introduced her to Early. He and Ella may have urged her to make a new life for herself in California and assisted her with the purchase price. The idea of living in sunny California two doors down from her favorite sister must have been an appealing idea. Thus, there was surely more than homesickness involved in her decision to return East. One possibility is that she may have had an inkling that the Hadleys were going to move within the year. If Eva was aware that Eugene Hadley was considering a new job outside of the Los Angeles area, that would have taken away her most important reason for staying in California. Plat of First Meredith’s Addition to Cambridge (1881). Lot 5 was purchased by Sarah Siegfried in 1888 and Lot 9 was purchased by William G. Scott in 1889. The unnamed street in the center became Beatty Avenue. Image courtesy of the Office of the County Recorder, Guernsey County, Ohio. Initially Eva and Willie lived at 124 North 7th Street, but in the fall of 1891 they moved to 36 South 9th Street, six blocks from Lizzie Hill’s home. Eva earned money by being the organist for the United Presbyterian Church. Willie was photographed, along with his cousin Don Scott, in her backyard. But being back in Richmond among friends did not dispel Eva’s loneliness—it may even have intensified it. Eva’s new domestic situation did not last long. On July 11th, less than a month later, she moved with Willie and Donnie to Zanesville, Ohio to be near her parents once again. 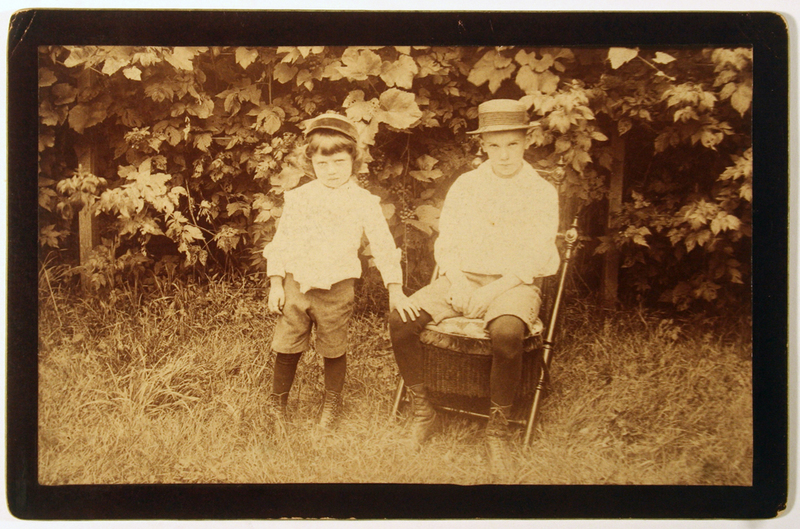 Don Scott (left) and William A. Dwiggins (right) in Lizzie Hill’s yard (Richmond, Indiana) (Summer 1892). Courtesy Special Collections, Boston Public Library. In the late 19th century Zanesville was known as “The City of National Advantages,” among other nicknames. Located on the National Road at the confluence of the Muskingum River and the smaller Licking River, it was connected to Portsmouth on the Ohio River and to Cleveland on Lake Erie by the Ohio and Erie Canal. By the 1890s it was also a significant rail center with seven lines passing through it: the Baltimore & Ohio Railroad; the Bellaire, Zanesville & Cincinnati Railroad; the Cincinnati & Muskingum Valley Railway; the Zanesville & Ohio River Railroad; the Columbus, Shawnee & Hocking Valley Railroad; the Cleveland, Akron & Columbus Railway; and the Cleveland, Canton & Southern Railroad. Abundant natural gas deposits and rich clay in the area provided the ingredients for a flourishing pottery and tile manufacturing industry in Zanesville from the 1870s on. Hence, its more common appellation as “The Clay City.”  It also had substantial coal mining operations. Zanesville was between Richmond, 158 miles to the west, and Cambridge, 25 miles to the east. The success of the various pottery industries in the 1880s fueled an increase of 88% in its population. With a population of 21,009 people in 1890, it surpassed Richmond in size and dwarfed Cambridge. W.A. 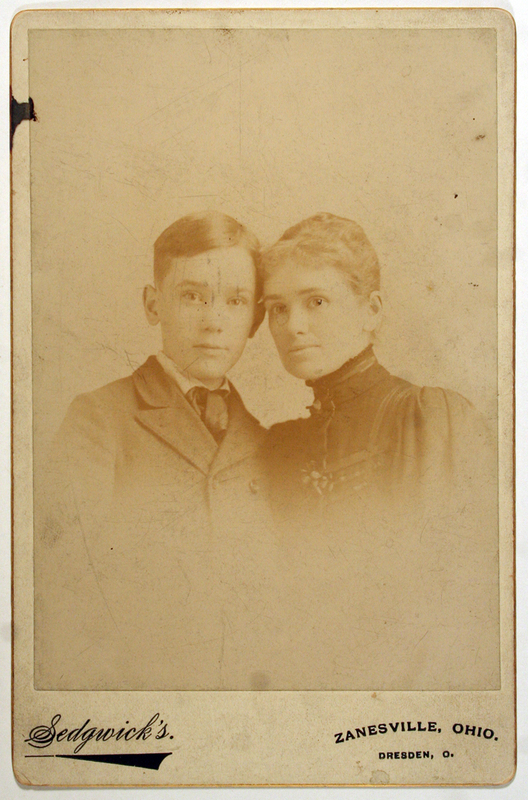 Dwiggins with his mother Eva (January 16, [1893?]). Photograph by H.M. Sedgwick (Zanesville, Ohio). Sanborn Fire Insurance Map from Zanesville, Muskingum County, Ohio (New York: Sanborn Map Company, 1895), Plate 42. The houses at 333 and 335 Putnam Avenue are in the middle of the block between Harrison and Pierce Streets on the west side of the street. Image courtesy of the Division of Maps and Geography, Library of Congress. 841 Putnam Avenue, Zanesville, Ohio (1901). Photograph by Paul Shaw (2015). This house is similar to the one that W.A. Dwiggins lived in between 1892 and 1895 one block north on Putnam Avenue. Either way, the job did not last long because Eva was already planning to move back to Cambridge. On July 31st she rented a house there and two weeks later she, with Willie and Donnie in tow, moved back to Cambridge. Willie was going to be on the move again, but this time from street to street as during his Richmond childhood rather than from city to city. 1. 20 January 1890 and 21 January 1890 in the diary of Rev. B.Y. Siegfried. Folder 2, Box 25, 2001 W.A. Dwiggins Collection, Boston Public Library. The “diary” is a typescript transcription of excerpts that someone—possibly Dorothy Abbe—made after 1936. The whereabouts of the original manuscript are unknown. 2. The Richmond Evening Item, 22 January 1890 and 24 January 1890 (microfilm, Morrison-Reeves Library, Richmond); also see unidentified Richmond newspaper obituary in Folder 1, Box 25, 2001 W.A. Dwiggins Collection, Boston Public Library. Moses Dwiggins is buried, alongside his wife and parents, in section 6, lot 297 of Sugar Grove Cemetery (formerly the Methodist Wall Street Cemetery) in Wilmington, Ohio. Cemetery Records of Clinton County, Ohio 1798–1978 (Wilmington, Ohio: The Genealogy Committe of The Clinton County Historical Society, 1980. 3. Transactions of the Indiana State Medical Society 1890: Forty-First Annual Session Held in Indianapolis, May 14 and 15, 1890 (Indianapolis: Wm. B. Burford, Printer and Binder, 1890), p. 161. 4. 22 January 1890 entry in the diary of Rev. B.Y. Siegfried. Folder 2, Box 25, 2001 W.A. Dwiggins Collection, Boston Public Library. 5. 24 January 1890 entry in the diary of Rev. B.Y. Siegfried. Folder 2, Box 25, 2001 W.A. Dwiggins Collection, Boston Public Library. Rev. Gilchrist delivered the eulogy at Moses Dwiggins’ funeral. See 17 February 1890 Rev. Alexander Gilchrist to Rev. Benjamin Y. Siegfried in Folder 9, Box 25, 2001 W.A. Dwiggins Collection, Boston Public Library. 6. 14 February 1890 entry in the diary of Rev. B.Y. Siegfried. Folder 2, Box 25, 2001 W.A. Dwiggins Collection, Boston Public Library. Rev. Siegfried moved to Cambridge, Ohio in July 1889. 7. 18 February 1890, 21 February 1890, 23 February 1890 and 24 February 1890 entries in the diary of Rev. B.Y. Siegfried. Folder 2, Box 25, 2001 W.A. Dwiggins Collection, Boston Public Library. The diary entry refers to “Prof. Carson,” but the 1888 Cambridge City Directory of the Business, Manufacturing and Other Interests compiled by Howard Ferguson (Cambridge, Ohio: 1888) lists O.T. Corson as school superintendent and a reference to him in The Guernsey Times 2 July 1891 confirms he was still in that position at the time young Willie Dwiggins enrolled in the Cambridge schools. Although Rev. Siegfried’s Cambridge address in 1890 is not known, it may have been on Beatty Avenue where his wife had purchased property on November 27th, 1888. See the property records for Lot 5 in the Meredith Addition in Guernsey County (Ohio) Recorder’s Office. Beatty Avenue is in the The Third Ward where the teachers in November 1888 were Jemima Ferguson, Lizzie Wall, Sallie McClelland, and Mattie McCartney. Most, if not all, of them would still have been in place in February 1890. 8. 3 April 1890 and 8 April 1890 entries in the diary of Rev. B.Y. Siegfried. Folder 2, Box 25, 2001 W.A. Dwiggins Collection, Boston Public Library. Also see The Cambridge Herald 3 April 1890. 9. For routes between Cambridge, Ohio and Los Angeles see Cram’s Standard American Railway System Atlas of the World… (Chicago and New York: George F. Cram, 1892). For a vivid account of a contemporary trip between Los Angeles and Richmond, Indiana see “Across the Continent: Southern California to Central Indiana” by Mary A. Gabriel in Friends’ Intelligencer and Journal (First Month 9 and First Month 16, 1892), pp. 29–30: “At Los Angeles we took the train over the Southern Pacific railway, known as the ‘Sunset Route,’ by way of El Paso, San Antonio, Houston, New Orleans, Chattanooga, and Cincinnati, to Richmond, Indiana. Passing through Pasadena and Riverside we found the country well improved and the scenery very fine. Orange orchards loaded with golden fruit vary the landscape. At Colton night’s sable curtain gathered about us, hiding from view many beautiful homes, and the green oases that are such a charm to the traveler, in contrast to the arid deserts of Arizona (with its sand bars, and cacti now in bloom), through which our road passes.” One of the sparks for Los Angeles’ spectacular growth in the 1880s came from the establishment of the Santa Fe line. See Los Angeles: An Illustrated History by Bruce Henstell (New York: Alfred A. Knopf, 1980), p. 41. 10. Some of the landmark moments in the development of Los Angeles occurred in the 1880s: lighting of the city by electricity, 1882; first cable railroad (Second Street hills), 1885; first electric railroad (on Pico Street), 1887; and construction of Los Angeles City Hall, 1888. See Los Angeles City Directory and Gazeteer of Southern California for 1892 (Los Angeles: Geo. W. Maxwell, Publisher and Printer, 1892), p. 20. Also see Inventing the Dream: California through the Progressive Era by Kevin Starr (Oxford and New York: Oxford University Press, 1985), p. 49. 12. 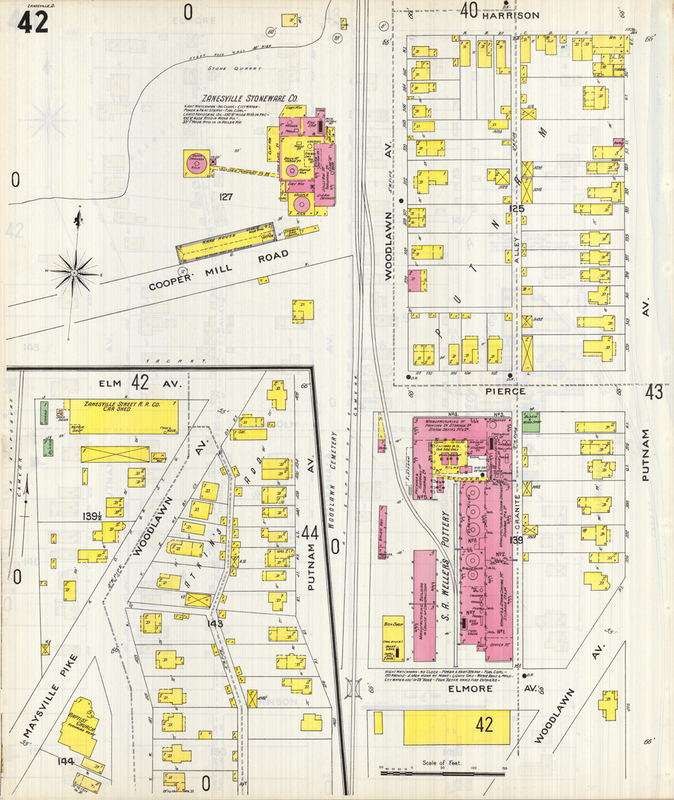 This description of 45 Regent Street is based on Sanborn Fire Insurance Map from Los Angeles, Los Angeles County, California (New York: Sanborn-Perris Map Company, 1888), vol. I, plate 30. Sanborn map images courtesy of Glen Creason and the Los Angeles Public Library. A 1906 Map of the City of Los Angeles Showing Railway Systems (Los Angeles: Travel and Hotel Bureau, 1906) shows East 6th Street where the fruit orchard in 1888 had been, but no Regent Street. 13. See the Los Angeles Herald 18 October 1888, p. 7 and the Los Angeles Times 17 October 1888, p. 7. In both Early’s name is misspelled as Earle. 14. The descriptions of Lincoln Park come from Los Angeles City Directory and Gazeteer of Southern California for 1892 (Los Angeles: Geo. W. Maxwell, Publisher and Printer, 1892) and Publications of the Historical Society of Southern California, Los Angeles 1893 (Los Angeles: Noble & McMillan, Printers, 1893), p. 83. Lincoln Park in South Pasadena should not be confused with either Lincoln Park, a recreation area in Los Angeles originally known as Eastlake Park or with the Latino neighborhood near it. 15. The Los Angeles and San Gabriel Valley Railroad was established in 1883. It was incorporated into the Central California Railway in 1887. Among its stations was Lincoln Park. See California of the South: Its Physical Geography, Climate, Resources, Routes of Travel, and Health-Resorts… by Walter Lindley, Joseph Pomeroy Widney (New York: D. Appleton and Company, 1888), p. 375. The Los Angeles, Glendale and Pasadena Railroad was formed by Capt. John Cross in 1889 by merging the Los Angeles and Glendale Railroad with the defunct Eagle Rock Valley Railroad. The following year he leased the track of the defunct Altadena Railroad which enabled his connection to Pasadena. In 1891 his company was purchased by the newly-formed Los Angeles Terminal Railroad Company which, four years later, became the Pacific Electric Railway Co. See “The Los Angeles Terminal Railroad” by Franklyn Hoyt in The Historical Society of Southern California Quarterly vol. 36, no. 3 (September 1954), pp. 185–191 and Pasadena, California, Historical and Personal: A Complete History of the Organization of the Indiana Colony… by J.W. Wood (Published by the Author, 1917), pp. 336–338. The Pasadena and Los Angeles Railway, formed 31 January 1888, may have been one of these “dummy” railroads since I can find no information about it other than its incorporation. See Appendix to the Journals of the Senate and Assembly of the Twenty-Eighth Session of the Legislature of the State of California (Sacramento: J.D. Young, State Printing, 1889), vol. II, p. 26. 16. For Early’s profession in 1884 see the California Voter Registers 1866–1898 online database and for his profession in 1892 see the California Voter Registers 1866–1898 online database. (The listing must have been made just before Seymour & Johnson declared bankruptcy in early 1892.) Also see the Los Angeles City Directory 1891 (Los Angeles: W.H.L. Corran, Publisher and Printer, 1891), pp. 578, 747 and 749 for his later position with the Seymour & Johnson Co. Hadley probably succeeded Early as bookkeeper early in 1888 (or even late 1887) since he is listed with that job title in the Los Angeles City Directory 1888 Including a Directory of Pasadena (Los Angeles and San Francisco: W.H.L. Corran, Publisher and Printer, 1888). 17. For notices of Early’s real estate transactions involving Lincoln Park, in addition to the sale to Hadley, see the Los Angeles Herald 24 June 1887, p. 9 and 14 August 1895, p. 9; and the Los Angeles Times 19 March 1896, p. 12. The latter must have been in negotiation before Early died the week before. Both newspapers also have news of real estate purchases and sales by Early elsewhere in the Los Angeles region, most notably Rancho Azusa de Duarte. By 1890 Early was a resident of Lincoln Park, indicating that he purchased a lot for himself. 18. See Los Angeles City Directory 1890 (Los Angeles and San Francisco: W.H.L. Corran, Publisher and Printer, 1890) where Hadley is listed as working in Los Angeles for Seymour & Johnson, but residing in Lincoln Park. No specific address is given. W.H.L. Corran is reported as working on the 1890 city directory as early as July 1889 (see the Los Angeles Herald 16 July 1889, p. 5), indicating that the Lincoln Park move had to have taken place before July 1890. One bit of evidence for narrowing down the date further comes from a March 1890 newspaper article about Ella’s activities with the Treble Clef Club of Los Angeles. See the Los Angeles Times 13 March 1890, p. 2. The Lincoln Park Reservoir has either been renamed or has been discontinued since 1890. Evidence for its existence then comes from History of Pasadena: Comprising an Account of the Native Indian, the Early Spanish, the Mexican, the American, the Colony, and the Incorporated City… by Hiram Alvin Reid (Pasadena, California: Pasadena History Company, Publishers, 1895), p. 38. 19. See the 25 April 1890, 30 July 1890 and 18 September 1890 entries in the diary of Rev. B.Y. Siegfried in Folder 2, Box 25, 2001 W.A. Dwiggins Collection, Boston Public Library. For the story of Willie being tossed into the Pacific Ocean see the manuscript “Biography of WAD: Second Section—Boyhood. For MSS Club Feb. 1, ’58” by Mabel Dwiggins. Folder 1, Box 8, C.H. Griffith Papers, Margaret King Library, University of Kentucky, p. 4. Mabel incorrectly claimed that Willie and Eva lived in California for a full year. 20. See 24 September 1890 entry in the diary of Rev. B.Y. Siegfried in Folder 2, Box 25, 2001 W.A. Dwiggins Collection, Boston Public Library. 21. For Early’s death see the California, County Birth, Marriage, and Death Records 1849–1980 online database, p. 82. For information on de Camp see the Los Angeles Times 21 March 1896, p. 9. 22. For the instigation of the lawsuit see the Los Angeles Herald 30 April 1896, p. 6. For the judgement see the Los Angeles Herald 29 May 1896, p. 8: “In the case of E.S. Dwiggins vs. L.B. DeCamp, administrator, etc., Judge York yesterday gave judgment for plaintiff for $1500. E.W. Lewis was appointed commissioner to sell the property, with bond fixed at $2000.” And for the disposition of the property see the Los Angeles Herald 10 June 1897, p. 11: “L.H. De Camp [sic], administrator, to E.S. Dwiggins—Lot 4, Monterey Terrace tract; $1695.05.”; and the Los Angeles Times 10 June 1897, p. 10: “C.W. Lewis [sic], commissioner, lot 4, Monterey Terrace tract, $1695.” The real estate transfer was made 9 June 1897. For the final accounting of the estate of John P. Early see the Los Angeles Herald 13 April 1897, p. 10. Eugene Hadley, despite leaving Lincoln Park at the end of 1890, did not sell Lot 2 in Monterey Terrace until 1905. See the Los Angeles Herald 5 July 1905, p. 9. 23. Eva may also have been persuaded to put down roots in the South Pasadena area because was a dry city. For an amusing account of the role temperance played in the incorporation of the city in 1888, see History of Pasadena: Comprising an Account of the Native Indian, the Early Spanish, the Mexican, the American, the Colony, and the Incorporated City… by Hiram Alvin Reid (Pasadena, California: Pasadena History Company, Publishers, 1895), pp. 650-651. Moses Dwiggins insured his life for $3000 through Masonic Mutual and Northwestern of Chicago. See The Richmond Item 23 January 1890, 25 January 1890 and 15 February 1890. Did Eva received the money prior to traveling to California? If so, it could have been used to purchase Lot 4. 24. See the Los Angeles Herald 9 November 1890, 24 December 1891, 30 December 1891, and 28 January 1892. 25. See the Sacramento Daily Record-Union 8 January 1891, p. 1. 26. Carrie Siegfried and William G. Scott were married 30 September 1886. See Ohio, County Marriage Records, 1774–1993 online database. Their son Richard D. Scott was born 30 August 1887. See Report of Births in Guernsey County, Ohio for the Year Ending March 31st, A.D. 1888. The Beatty Avenue address is mentioned in The Cambridge Jeffersonian 12 February 1891 in a social item: “Miss Lizzie Hill of Richmond, Indiana is the guest of Mrs. W.G. Scott and Mrs. Dwiggins, on Beatty Avenue.” W.G. Scott bought the property (Lot 9) in the Meredith Addition on 3 August 1889. 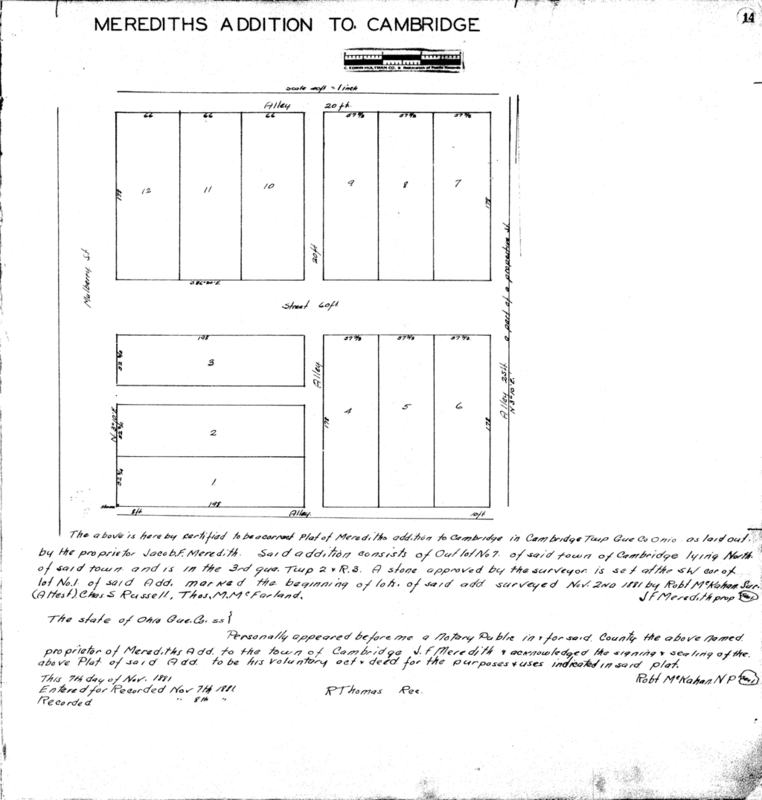 Sarah Siegfried purchased Lot 5 in the Meredith Addition, later 1026 Beatty Avenue, on 27 November 1888. Copies of both property records provided by the Office of the County Recorder, Guernsey County, Ohio. There is no documentary evidence that Rev. Siegfried and his wife lived on Beatty Avenue prior to 1893 when Victor McFarland is listed as occupying 1026 Beatty Avenue. See City Directory for Cambridge, Ohio for 1893… (Cambridge, Ohio: J.M. Amos & Sons, 1893). Lot 9 later corresponds to 1021 Beatty Avenue, almost directly across from 1026 Beatty Avenue. 27. See 28 April 1891 and 18 May 1891 entries in the diary of Rev. B.Y. Siegfried. Folder 2, Box 25, 2001 W.A. Dwiggins Collection, Boston Public Library. 28. Eva was present at the marriage of Ida Elster (1863–1940) to William Neall 5 November 1885 in Richmond. The ceremony was officiated by Rev. B.Y. Siegfried. Elizabeth Mary Hill (b. 1857) lived at 47 South 15th Street from at least 1885 to 1900. See Kramer Publishing and Advertising Company’s City Directory of Richmond, Indiana 1885–1886… and Wayne County (Lafayette, Indiana: Kramer Publishing and Advertising Co., 1885), vol. I and the 1900 United States Federal Census. 29. The first address is found in City Directory of Richmond, Ind. and Gazetteer of Wayne County. June, 1891… (Loganport, Indiana: Wilson, Humphrey & Co., ) while the second is found in Cullaton’s Richmond Directory 1891–92… (Richmond, Indiana: M. Cullaton & Co., 1891): “Richmond is a beautiful city there being many fine resident and business houses. Seventh street is especially noted for its fine mansions, and the beauty of the grade and adornment of its lots.” 2 July 1874 Clinton Republican (microfilm, roll no. 13961 Clinton Republican from November 17, 1870 to September 14, 1876; Ohio Historical Society). 30. The Guernsey Times 2 June 1892, p. 3. Rev. Siegfried and his wife had moved to Zanesville in September 1891. 31. The Guernsey Times 16 June 1892, p. 3. A copy of the obituary is also in The Sunday-School Register and Minute Book kept by Rev. Siegfried in Folder 13, Box 25, 2001 W.A. Dwiggins Collection, Boston Public Library. Carrie may have died of the flu since she is reported to have been suffering from “la grippe” in February. See The Guernsey Times 4 February 1892. 32. An unidentified account indicated that Don Scott was going to make his “home with Mrs. Eva Dwiggins, Richmond.” See Folder 1, Box 25, 2001 W.A. Dwiggins Collection, Boston Public Library. 33. Y Bridge City: The Story of Zanesville and Muskingum County, Ohio by Norris F. Schneider (Cleveland and New York: The World Publishing Company, 1950), p. 259; and Biographical and Historical Memoirs of Muskingum County, Ohio… (Chicago: The Goodspeed Publishing Co., 1892), pp. 242–243. A belt-line railroad within Zanesville linked the seven lines. 34. See History of the Clay-Working Industry in the United States by Heinrich Ries and Henry Leighton (New York: John Wiley & Sons and London: Chapman & Hall, Limited, 1909), p. 190 for the history of these industries in the 19th century. Zanesville city directories between 1890 and 1895 list Bagley & Roberts, Muskingum Stoneware Co., Owens Pottery, S.A. Weller’s Pottery, The South Zanesville Brick & Paving Co., and the Zanesville Stoneware Co.
35. See Biographical and Historical Memoirs of Muskingum County, Ohio… (Chicago: The Goodspeed Publishing Co., 1892), pp. 231, 240, 260 and 301. The Fair Oaks Baptist Church was established in 1890 at the corner of Woodlawn Avenue and Maysville Avenue. See Past and Present of the City of Zanesville and Muskingum County, Ohio by J. Hope Sutor (Chicago: The S.J. Clarke Publishing Co., 1905), p. 157. For Rev. Siegfried’s move to Zanesville see the 3 September 1891 entry in his diary in Folder 2, Box 25, 2001 W.A. Dwiggins Collection, Boston Public Library. 36. For Eva Dwiggins’ move to Zanesville see the 11 July 1892 entry in the diary of Rev. B.Y. Siegfried. Folder 2, Box 25, 2001 W.A. Dwiggins Collection, Boston Public Library. There is no comparable entry for William G. Scott’s move in the reverend’s diary. However, he is listed as living at 333 Putnam Avenue, along with “Mrs. Eva Dwiggins (widow MA [sic])” in the Zanesville City Directory 1893 (Akron: The Burch Directory Company, 1892). 37. There is no evidence to indicate the relationship between Eva Dwiggins and William G. Scott was anything but platonic. 38. The description of the houses, and their location, is derived from Sanborn Fire Insurance Map from Zanesville, Muskingum County, Ohio (New York: Sanborn Map Company, 1895), Plate 42. 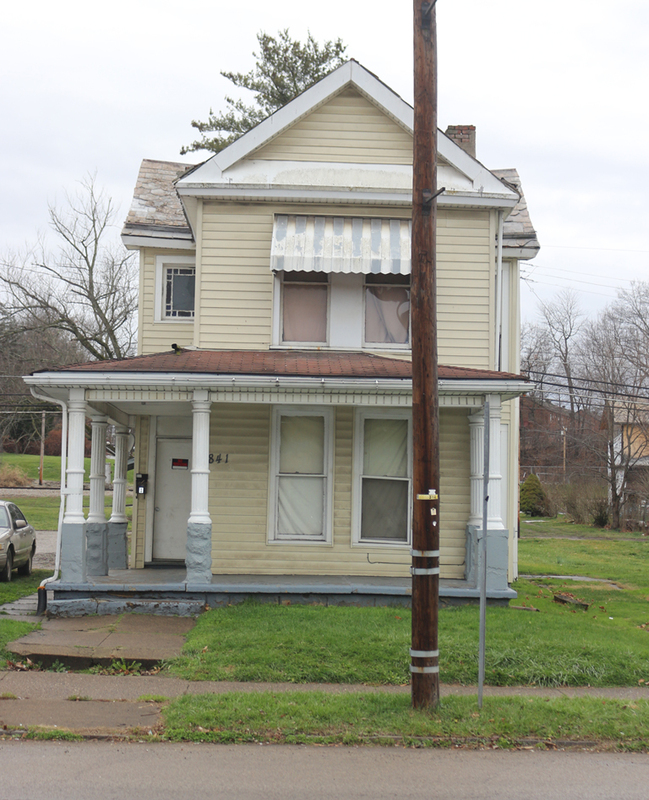 Zanesville renumbered its houses in 1900 which is why the current 333 Putnam Avenue, the site of several Muskingum County social service agencies, is at Adams Street rather than between Harrison and Pierce Streets. The ordnance for the renumbering was passed 19 February 1900. See The Times-Recorder 20 February 1900, p. 1. Information about S.A. Weller’s Pottery is from History of the Clay-Working Industry in the United States by Heinrich Ries and Henry Leighton (New York: John Wiley & Sons and London: Chapman & Hall, Limited, 1909), p. 190. Weller was considered one of the largest pottery manufacturers in the world by 1905. See “Our American Potteries—Weller Ware” by May Elizabeth Cook in The Sketch Book vol. V, no. 6 (February 1906), p. 342. The Zanesville Stoneware Co. was incorporated in 1889. 39. The Zanesville Streetcar Railroad Company was established in 1890. 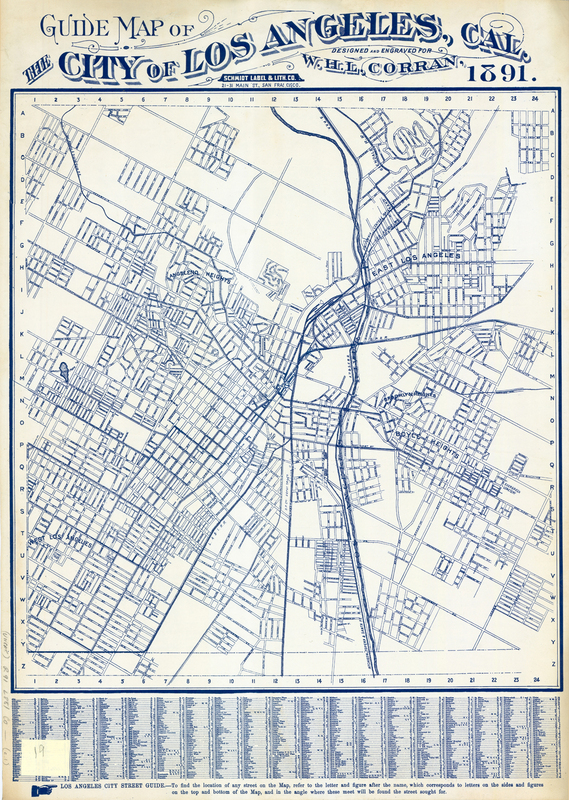 I have been unable to find any contemporary Zanesville maps showing the streetcar routes. 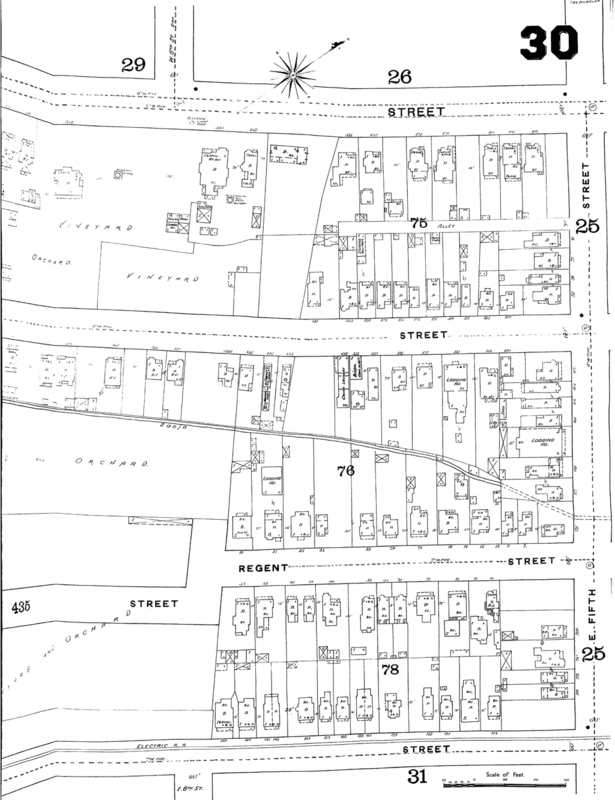 My information is based on an undated hand-drawn map by William H. McCaddon and the presence of the company’s car shed on Elmore Avenue near Woodlawn Avenue in the early 1890s. The South Sixth Street Bridge connecting Putnam Avenue to the business district of Zanesville was not erected until 1895, the year the Scott/Dwiggins household moved to Cambridge. 40. Bagley & Roberts Pottery was located two blocks to the east along the Muskingum River and the Muskingham Stoneware Co. was three blocks away at the corner of Harrison and Muskingum Streets. 41. The physical description of the schools is derived from Past and Present of the City of Zanesville and Muskingum County, Ohio by J. Hope Sutor (Chicago: The S.J. Clarke Publishing Co., 1905), pp. 99–101; and Sanborn Fire Insurance Map from Zanesville, Muskingum County, Ohio (New York: Sanborn Map Company, 1895), Plates 38, 42, and 43. Information on Dwiggins’ teachers has been gleaned from Zanesville City and Muskingum County Directory for 1890–1891 (Akron, Ohio: N.H. Burch & Co., Publishers, 1891), pp. 16–17; Directory of Zanesville 1892–93 (Columbus, Ohio: R.L. Polk & Co., Publishers, n.d.); Zanesville City Directory 1893 (Akron, Ohio: The Burch Directory Company, 1892), pp. 19–20; and Zanesville City Official Directory 1894… (Akron, Ohio: The Burch Directory Co., 1894), pp. 28–29. The Times-Recorder 25 June 1895 confirmed the teaching positions of Miss Nesbaum and Miss Stonesipher. An explanation for the grammar-school levels of the American school system can be found in “Some Buildings, Cleveland” from “A Tour in the United States” by A. Arthur Cox in Transactions of the Royal Institute of British Architects, vol. VII, New Series (1891), LXXXVII, p. 382. J. Schwartz is specifically mentioned in the section on schools in the 1894 city directory, but the only two people in the regular portion of it (or the other directories) are John C. Schwartz, a janitor, and his son William J. Schwartz, a clerk. Perhaps the latter taught penmanship on the side. 42. See the entry for 29 July 1895 in the diary of Rev. B.Y. Siegfried in Folder 2, Box 25, 2001 W.A. Dwiggins Collection, Boston Public Library. 43. Information on the two businesses is from Zanesville City Official Directory 1894… (Akron, Ohio: The Burch Directory Co., 1894) and Zanesville Official City Directory, 1896… (Akron, Ohio: The Burch Directory Co., 1896). Queensware is a type of fine, cream-colored Wedgwood pottery. 44. See the entries for 31 July 1895 and 13 August 1895 in the diary of Rev. B.Y. Siegfried in Folder 2, Box 25, 2001 W.A. Dwiggins Collection, Boston Public Library.